(PhysOrg.com) -- Watsons recent supercomputer victory over Jeopardys best players has some wondering if computers are getting smarter than, or at least as smart, as humans. Garrett S. Rose, a Polytechnic Institute of NYU assistant professor of electrical and computer engineering, describes Watson as something similar to a giant search engine with the ability to mimic some behavior of the human mind. Because it depends on conventional computing hardware, he says, its ability to adapt and learn  an ability that would make computer smarts more like human smarts  is limited. Dr. Rose is a member of an NYU-Poly research team that has created a technique for controlling circuits that process information similar to the way neural networks do. The research teams technique, which won the 24th IEEE International Symposium on VLSI Design Best Student Paper Award in January, helps circuits perform more reliably so they can fill in those gaps and carry out human-like functions  recognizing voices and images, for example. 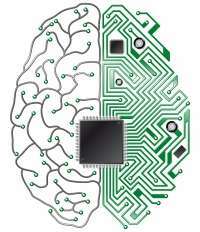 A key part of the technique is an algorithm that helps control the variations in memristors, nano-scale devices used in circuits for artificially intelligent hardware. Jeyavijayan Rajendran, a computer and electrical engineering PhD candidate, devised the algorithm, which the team presented in the award-winning paper, An Approach to Tolerate Process Related Variations in Memristor-Based Applications. Ramesh Karri, professor of electrical and computer engineering, and Harika Manem, also a computer and electrical engineering PhD candidate, co-authored the paper with Dr. Rose and Mr. Rajendran. The team has been working with the Air Force Research Laboratory to develop its research and potential applications. I guess we're still looking for a description of intelligence. To say that a computer is smarter than a human is like saying that Wikipedia is smarter than my Funk and Wagnall's. Actually, the human will always be smarter than a computer because the human can solve problems creatively, arbitrarily selecting one of the many ways to solve a single geometry problem for example, whereas the computer's method must be pre-programmed. What makes a human unique is the freedom to apply a policy of unpredictability, as a matter of choice. So, in the long run, a computer will lose out to the human challenger, if the questions it is asked can be tailored to obfuscate the result by first knowing how the computer will address the problem.